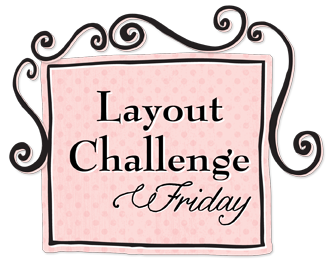 It's time for another Layout Challenge! Just think about all the circles out there. 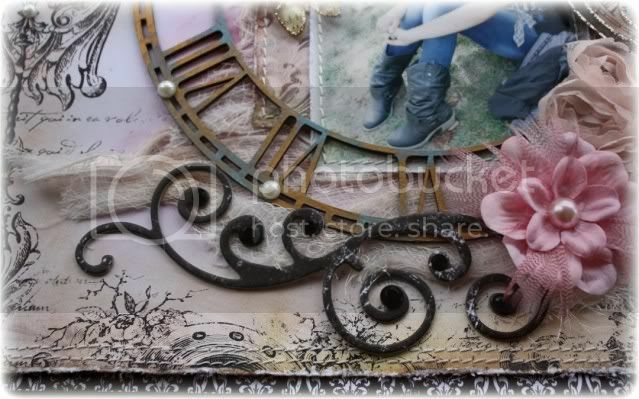 There are circle punches, coluzzle circles, brads, buttons, die-cuts and patterned paper. 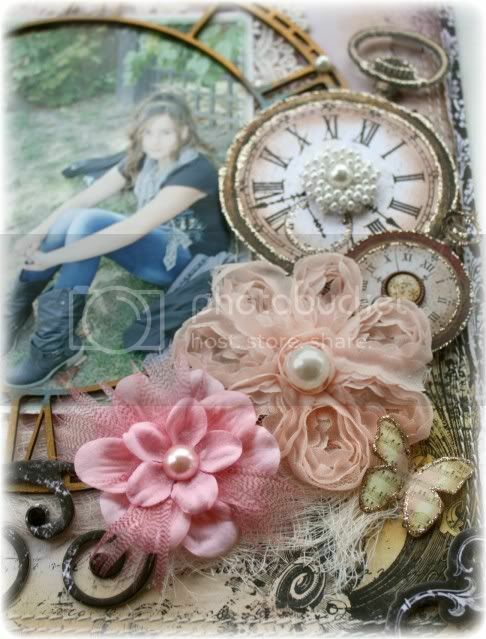 Have you been thinking about cutting some of your pictures into circles? Here is the opportunity to give it a go! The possibilities are endless! You will have until December 21 to complete your layout and link it here. Now, lets let the design team inspire us! 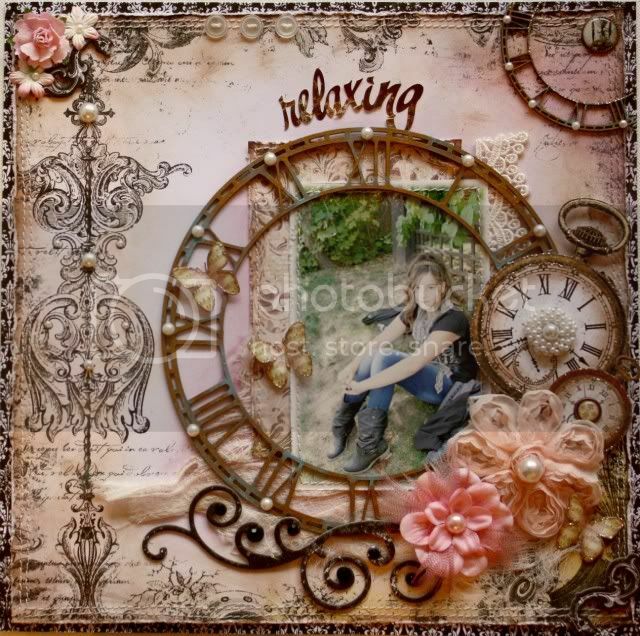 I wanted to use one of the newest collections so I went with Enchanted....but when I think of circles I think of Timepiece so I mixed the two ....the photo is one I took of Chloe on a recent Apple Festival day trip we went on, just sitting and relaxing for a moment watching the crowds walk by. 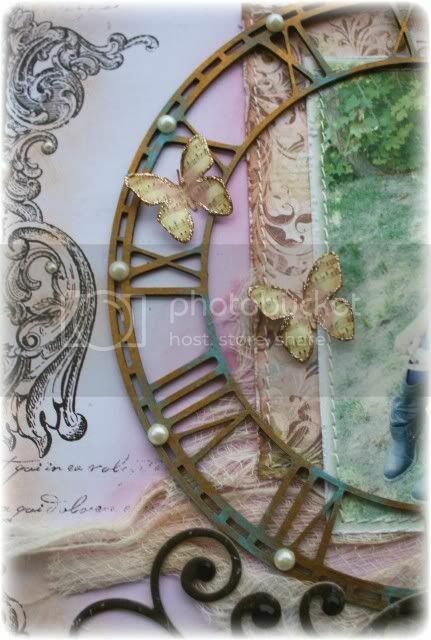 DESIGNER'S TIP: I used some tan and brown chalk ink as well as a bit of mauvey pink chalk ink to color up the background of the Enchanted paper to give it a more vintage look. For a very soft tinting you can use a make-up sponge with the ink or the Tim Holtz Alcohol Ink Applicator/& pad to apply the chalk ink. I cut the patterned paper in circles because of the challenge. I also used "double dot".. and patterned paper with circles/ dots I used a "circle" title and circle embellishments. I hope this inspires to work with shapes. because you thought it was important. We can't wait to see what you come up with!! Remember, you have to link it here by December 21. We will choose a winner for a terrific Bo Bunny prize! Don't forget to share what you are creating on Facebook! We love to see what you are up too! I love circles! What a great challenge and wonderful layouts ladies! Wow very nice. But I prefer the first one... it's amazing !